Ask the Experts: Where to stopover in Asia? This week, our Travel Experts face a question from Georgie in Manchester about her upcoming adventure to Australia, who’s looking for help at unravelling one of the trickiest decisions facing long haul travellers: the stopover. Can the panellists help Georgie to get the magic rolling early? We’ll find out in a minute, as we throw the Experts her question. Remember, if you want to ask the Experts a question, we’ve made it super simple — just fire them an email and you could find your question taking centre stage, right here on the STA Travel Blog! If I were you, Georgie, I’d make the most of the free stopovers offered by Emirates (why pay for a stop when you can have one for free, hey!). On the way out, take your free stop in Dubai and take advantage of our brilliant Dubai stopover package. You’ll be collected at the airport and whisked off to spend 2 nights in the Arabian Courtyard Hotel and Spa. After a good night’s sleep, you’ll be collected for a city tour where you’ll visit Al Fahidi Fort and the textile, spice and gold souks so brush up on your bartering skills. Later that afternoon head out on your Desert Safari by 4WD and even hop on a camel if you want to try a more traditional mode of transport! That evening you’ll spend the night like an Arabian Princess at a Bedouin camp. Enjoy a juicy barbecue dinner, prepared on smoky, open fires while belly dancers keep you entertained. The second day is yours to do what you want; personally, I’d be tempted by your hotel spa to ensure you get on the plane to Australia looking fabulous! Alternatively, you can steal my plans for next year and stop in Dubai and then head into Oman. The Musandam Peninsula is only a few hours from Dubai, which will satisfy both the land lubber and water baby in you. Take in the views from the rugged mountains rising out of the fjords, or take full advantage of the amazing diving on offer. Due to the lack of commercial fishing, this tiny peninsular offers some of the most unspoilt diving in the world so you can explore drop-offs, caves and wrecks. Alternatively keep your feet dry and take to the water on a Omani wooden Dhow whilst keeping an eye out for dolphins. Recently opening its doors for the first time to travellers, Burma/Myanmar is one of the world’s most mysterious and exciting destinations right now. Why not spend a week or two exploring the realms of Burma before hitting the traveller hub of Australia. Unlike its more westernised neighbours, Burma withholds nearly all of its traditional essence. The full longyi attire is worn by the nation, while the land is consumed by beautiful monasteries, temples and Buddhist monuments. November to February, the ‘cool season’, is the best time to visit the country so January would be an ideal time to see Burma at its best. As political issues have dominated the country for much of its modern history a guided trip is almost essential. 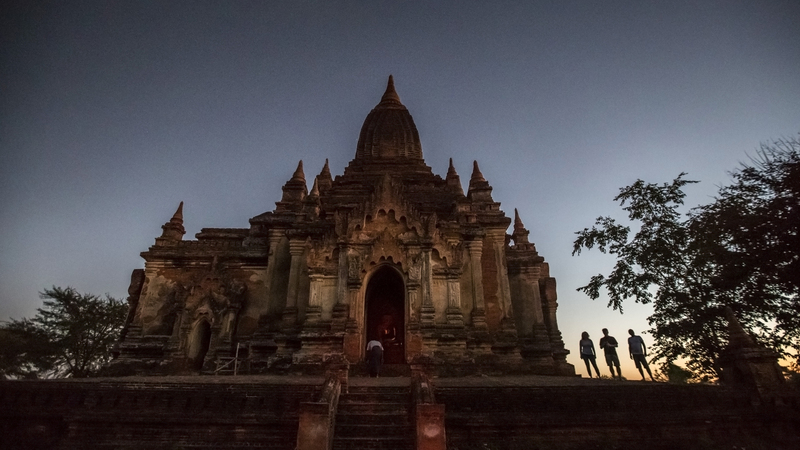 We’ve just started to offer a 14-day trip in Burma, visiting seven mind-blowing places. This trip takes you to an overload of Burmese wonders; you’ve got the incredible Shwedagon Temple and its nearby Golden Rock which you can hike up, then there’s the country’s biggest reclining Buddha statue in Bago, the ancient capital. Not to mention the beautiful Mandalay with its architectural wonders and the nearby Bagan with its tree-less plains of temple ruins. The crystal Inle Lake is another must, home to the floating villages and gardens of the Intha people. It’s a stone’s throw from the Pindaya Caves, definitely worth an explore. So, if you’re looking for a travel experience a world apart from Australia, one where you’ll barely meet another tourist, then Burma is the destination I’d choose for you. Amazing advice, as always, Experts! What do you think, readers? Could you offer an alternative to Georgie’s question? Don’t be shy — throw it down in the comment box below! Meanwhile, check out this incredible deals on travel in Asia.